Dog & cat ear infections, known as canine or feline otitis externa, are usually caused by an overabundance of bacteria or yeast in the ear. 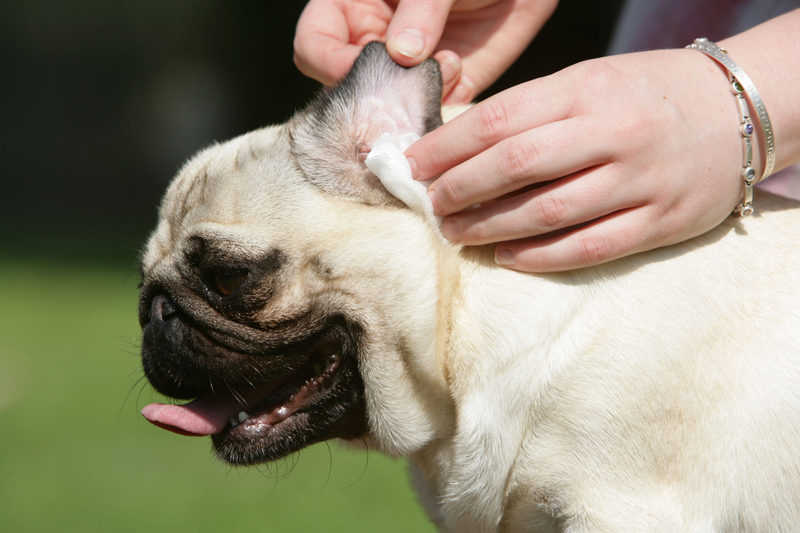 The ear canals in dogs are vertically deep which allows debris, wax and dirt to become trapped. Symptoms include excessive scratching of the ear. Strong odor. Crust or scabbing on the ear flap. Dark or yellow discharge in the ear, either crusty or oily. Redness and swelling. Head shaking or walking with the head tilted to one side. Skin or other allergies often manifests in ear problems, so be aware of that. Pets with food, pollen or dust allergies are more difficult to treat. The ear infection is a symptom of other problems, versus the only problem. For unknown reasons, I’ve found these pets respond best to Witch Hazel Dog & Cat Ear Cleaning Solution. NOTE: Do not over clean your dogs’ ears. If they are healthy, limit cleanings to once a month.